4.5 stars! It wasn't what I was expecting and I'm so glad. People have been comparing it to the Captive in the Dark series and On Every Street. Eh, maybe there are bits that will remind you of those books but this is a different story entirely. It almost has a True Lies sort of vibe without the comedy. J.A. Redmerski has set up an outline for a kickass series. 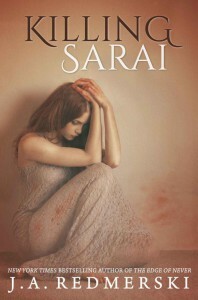 This book is only a taste of Victor and Sarai's world and I expect the next book to explode! Sarai is going to rock if J.A. is taking her into the direction I want her too! The only reason it's not a full 5 star is because I wanted more and I felt it ended just as things were getting good!